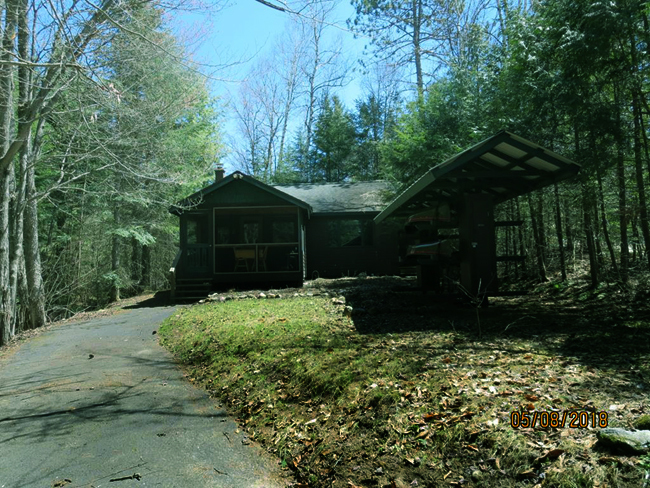 Very charming and very well maintained located along a brook in the heart of hiking and canoe county. 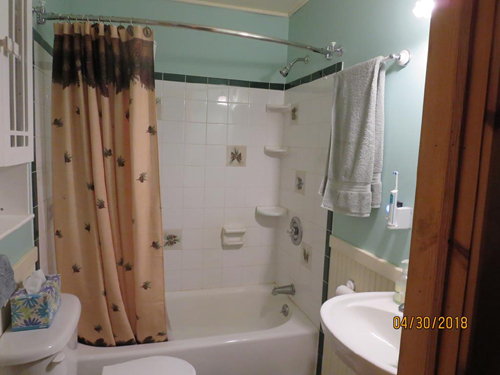 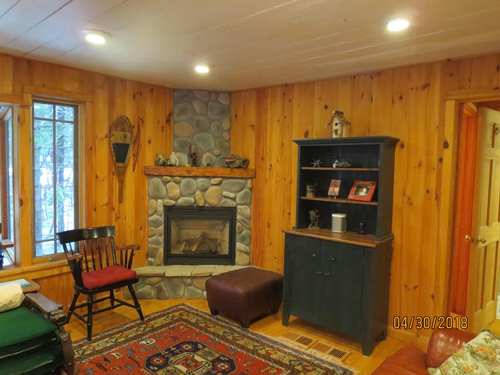 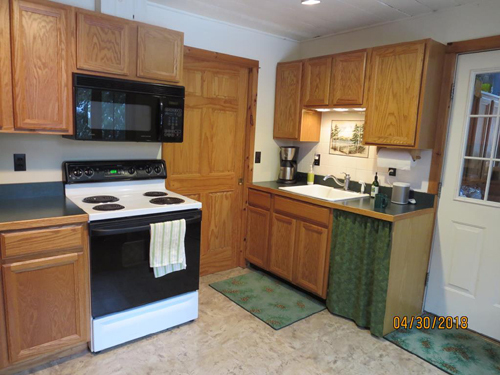 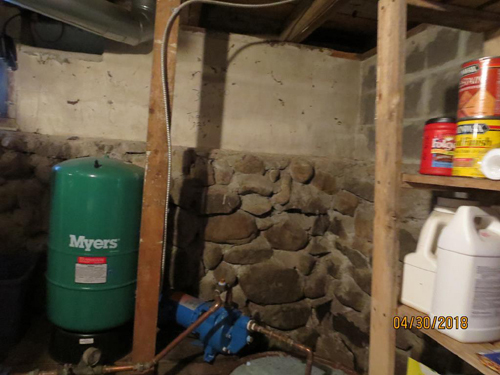 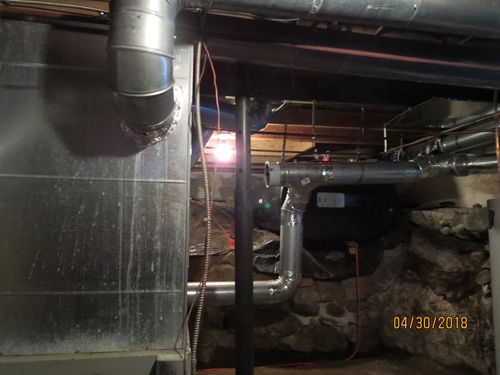 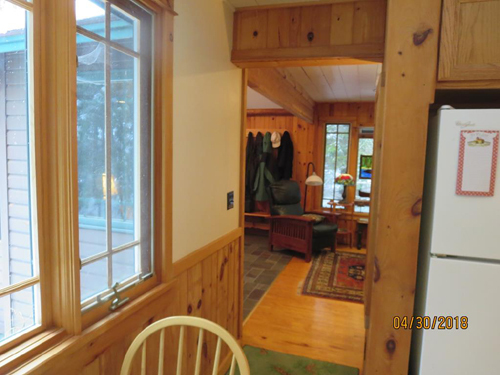 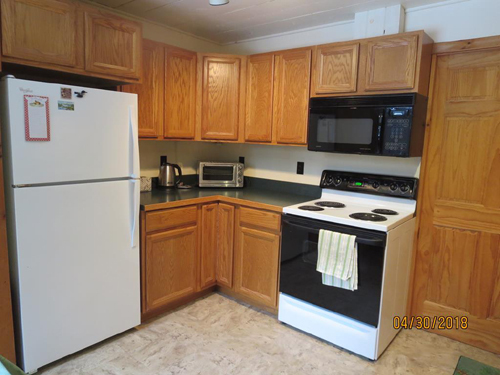 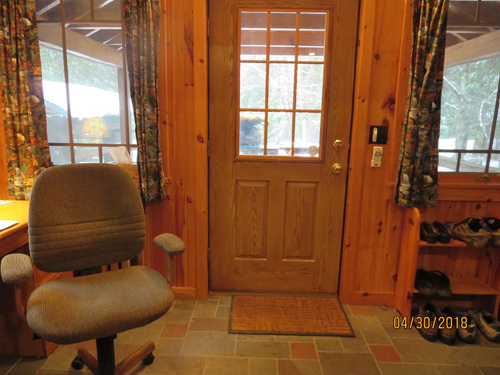 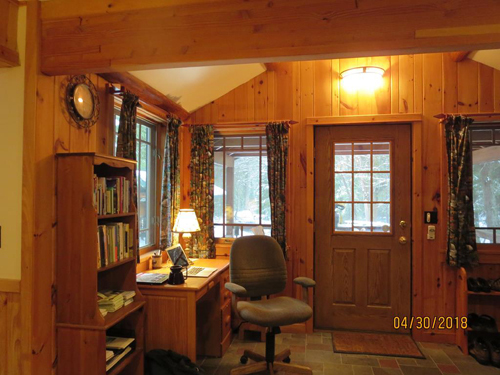 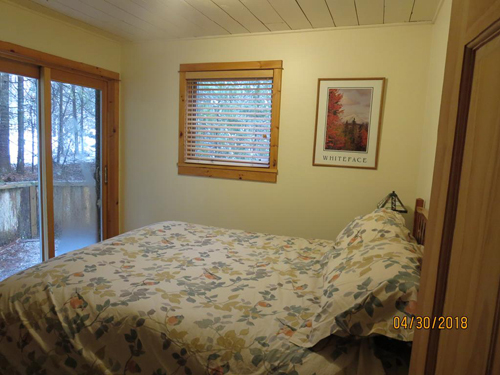 Just minutes away from Jones Pond, Rainbow Lake, Osgood Pond and the VIC center. 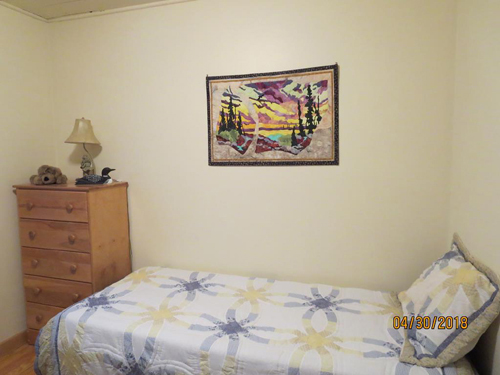 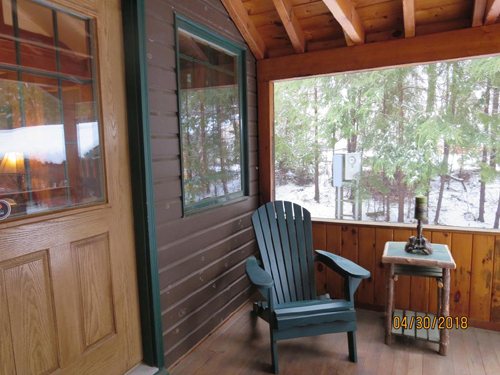 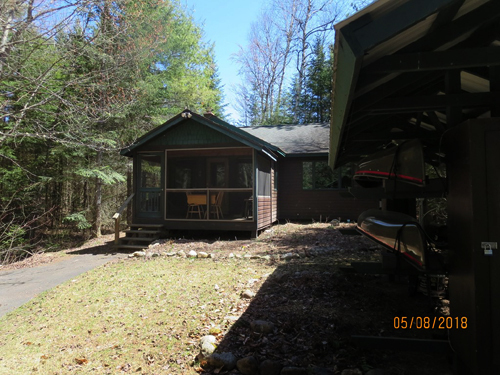 The cabin was purchased in 2000 and completely remodeled at the time. 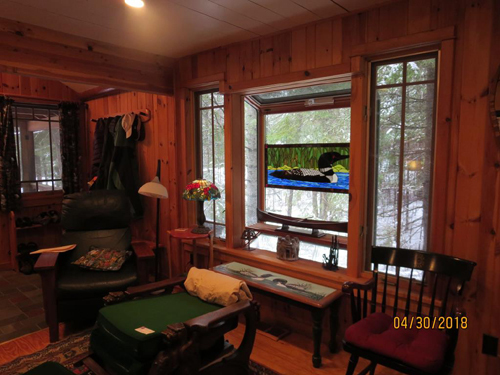 All new windows including the large Green house window in the living room, a pantry in the kitchen and lots of storage. 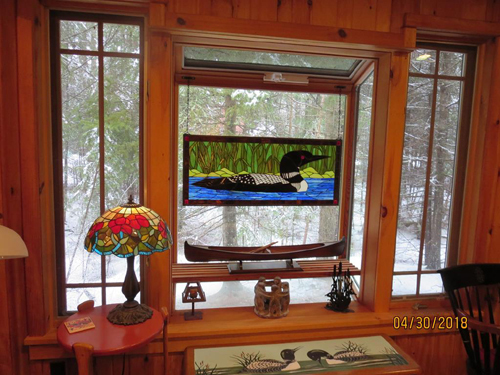 Local Artist hand painted tiles in the kitchen and bathroom add to the Adirondack Decor and the Knotty pine walls complete the cozy feel. 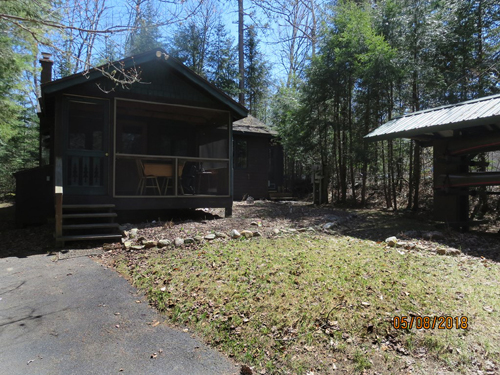 This is a very affordable vacation home or could be a vacation rental.